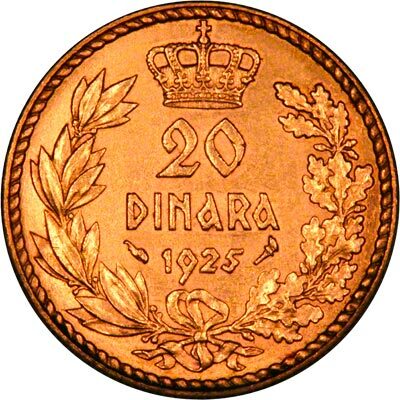 Yugoslavian gold coins are denominated in dinara (dinars), which is the plural of dinar, but at least one issue was in ducats or dukats. 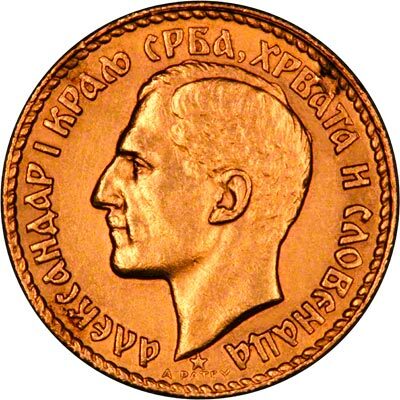 We give below the specifications of most of the more frequently encountered Yugoslavian gold coins, followed by a stock list of any we have for sale. 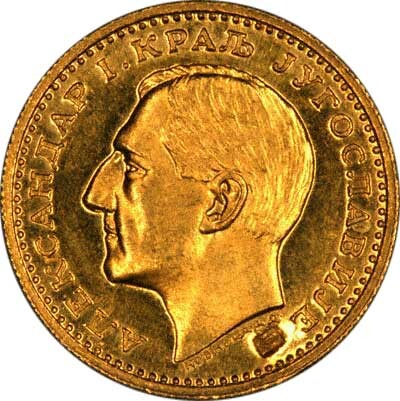 Portrait of King Alexander I, facing left. 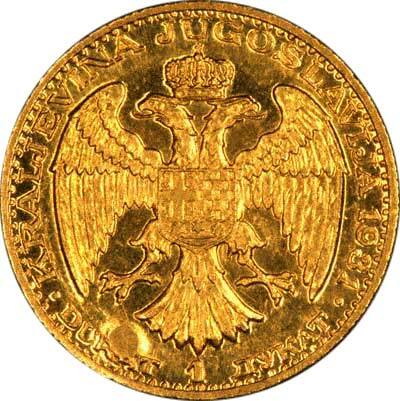 Large crowned double headed eagle head. **Price correct on 25th April 2014. Please phone for an up to date price prior to ordering. 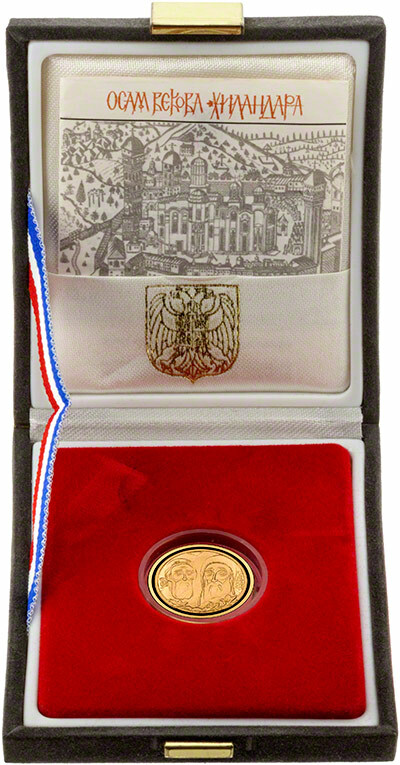 For silver and base metal coins of Yugoslavia, please look at our original Chard Coins website.